wishlist Archives - Do You Speak Gossip?Do You Speak Gossip? I can’t believe we’re already in June. May flew by, and I didn’t do much, apart from my trip to the Netherlands. 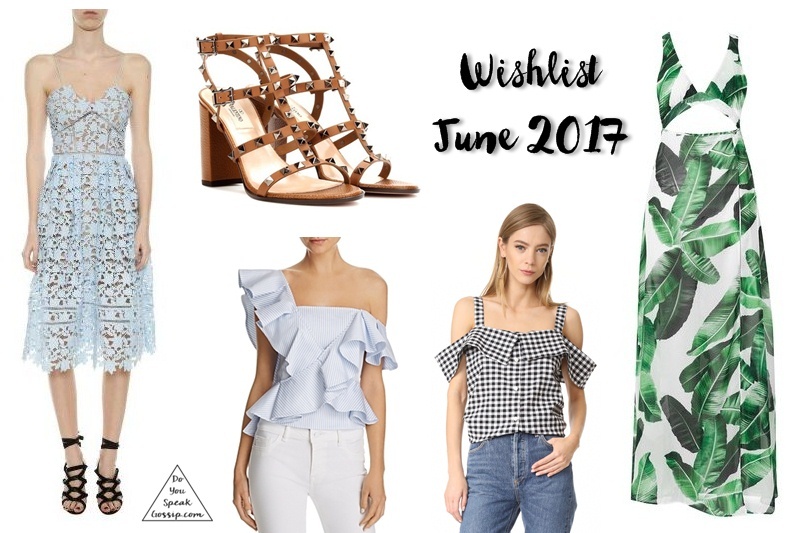 I’m here today with another wishlist, or should I say, “things I found online and liked this month”, as I have unofficially renamed this column into. So many trends I like, and so many styles I’d love to add to my wardrobe. Like this lace dress from Self-Portrait, I’ve been eyeing for a while, the banana leaf printed maxi dress, the ruffled top, the gingham top, or the studded brown sandals with the block heels. Thankfully I already got a pair like this a couple of weeks ago, so I can scratch that off my wishlist, but these ones are also cute. Am I right? Which one would you like to add to your closet? 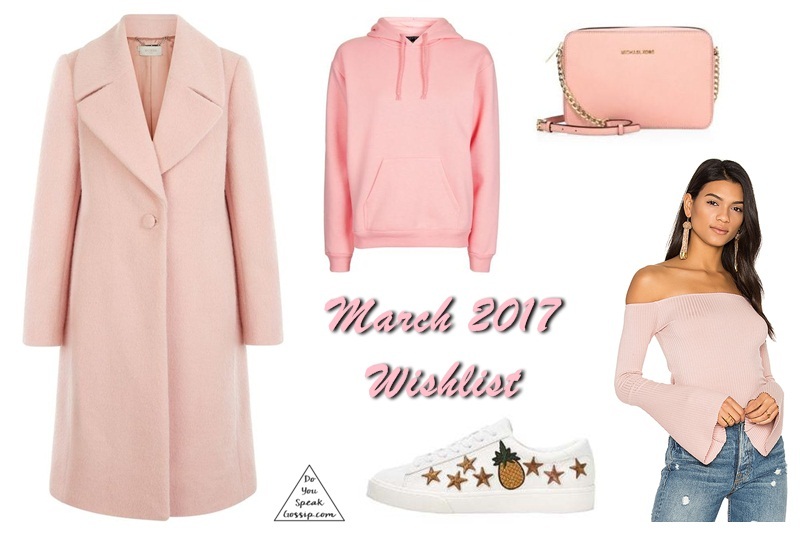 My favorite month of all has finally started, and of course the first post of the month is always dedicated to my new wishlist, or should I say, things that I found online this month and liked. Like this pretty white dress (doesn’t it look nice with the hat? ), this yellow blazer (yellow is very much in fashion this season), these striped espadrilles (which, let’s face it, are to die for), these block heels in bright blue (who wouldn’t want a pair?) and finally, this striped crop top with its matching pants that looks fabulous. I wouldn’t object if someone bought them for me. haha Which is your favorite item from this list? I recently visited a Migato store in my city, and got two items from their new spring/summer 2017 collection, but I was so in love with so many items from their new collection that it was difficult leaving them behind. That gave me an idea. 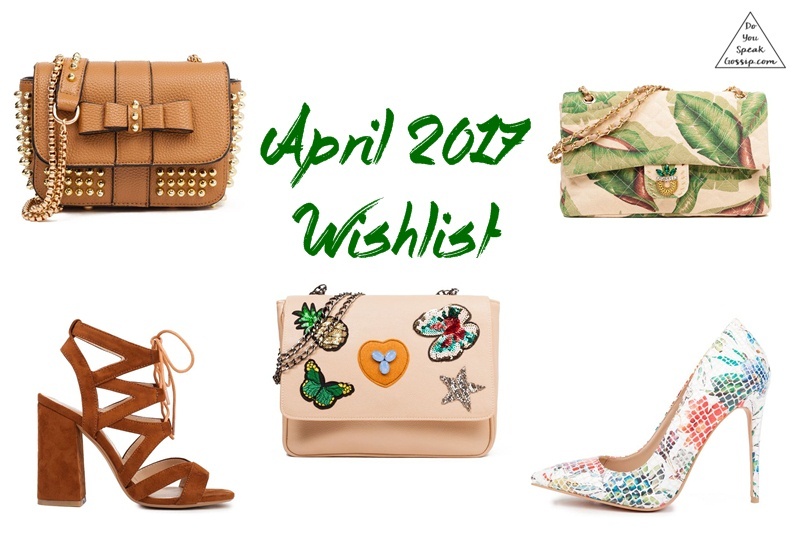 I didn’t have any other ideas for this month’s wishlist, so why not post about these ones I genuinely liked. Migato is a Greek brand, known for their shoe line, but they’ve started making bags and other accessories too over the past few years. These are my top choices from their new collection, but you can find more at their e-shop Migato.com. For the month of March, I decided to go full on pink (almost), because I’m clearly obsessed. If someone would have told my teenage self that someday I was going to like pink again, she would have never believed it, for sure! But here I am, obsessing over pastel shades of pink, and thinking of more items to include in my wardrobe in this color. I’m also looking at bell sleeves with admiration again. Another trend I thought I’d never like again. But you must agree, pastel pink looks amazing in spring, right? I gathered some of the items I’ve been eyeing on the internet lately to create today’s wishlist. Which one is your favorite? It’s already February of what seems to be a very cold winter for us. So despite the fact that I already shopped for 2 outerwear, I’m still on the lookout for new ones, which are warm but stylish at the same time. This long jacket with the faux fur is the style I’m looking for. I’m also searching for a nice pair or white ripped skinny jeans, because I only have one pair of white jeans, and they’re definitely not skinny. I would also love this pink cropped top, because lately I’m all about dusty pink in every possible fashion item. 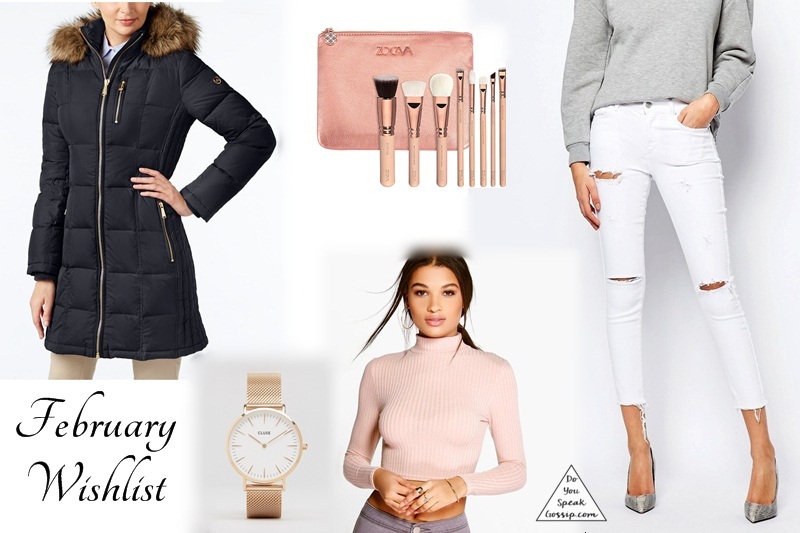 Last but not least a rose gold Cluse watch and a rose gold makeup brushes set would definitely come handy. 😀 Don’t you agree?